I hope this doesnt sound too much like I'm bragging, but I'm really happy with the finishes I got done for second quarter. Don't get me wrong, I didn't manage everything, but its the things I did finish that make me really happy. I finished the Not so hidden stars quilt. This had never been a favourite. I had gone off the fabrics. The solid I ordered to go with them was nothing like the Internet picture and I was never all that happy with what arrived. However one night I decided that I really wanted to do a nice and simple top that I wouldn't labour over too obsessively... and that is what I got. But you know what? I love it, and I use it every single day. I kept up to date (with a wee bit of a wobble, but nothing too bad) with bee blocks. Flying Geese block for Trudi, inspired by a quilt in the Fat Quarterly Shape Workout book which I have misplaced so I cant tell you who did the original quilt. Will update later, promise. Not only did I manage to get my own two bee blocks finished this quarter, I had a flash of inspiration and got the entire quilt done too! If you'll forgive me for saying it again, I really love this quilt!! "It would also be nice to get Stained II finished, otherwise this QAL could be the longest and slowest in history..."
Nope, not finished yet... but maybe that's encouraging for those taking part?! "Also, I hope to get at least 1 out of the 3 planned mini quilts done." Frustratingly, two out of three are now finished, but I never took photos and now they are with their recipients. Numpty. "And I hope to get 1 at worst, all 3 at best, of the quilts done for my bestie." One is completely finished. One has been quilted, and its ready to bind. One has been quilted and binding sewn to front, it just needs hand stitched to back. Am meeting bestie on Monday (woohoo!) and will, fingers crossed, have them done and ready to hand over. Get ready for a three quilts in one post sometime next week! 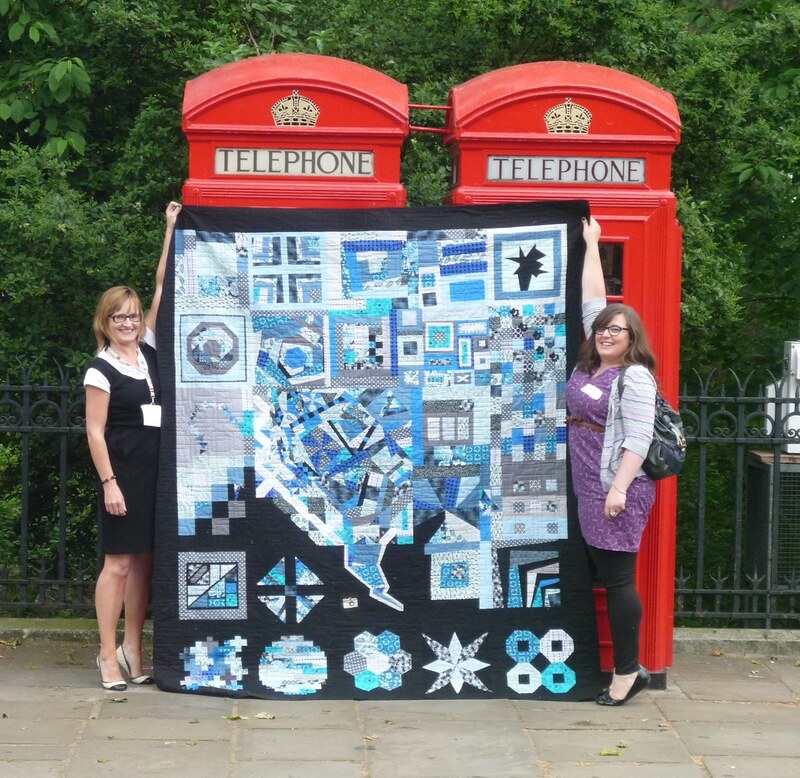 I'm so glad we got to see your bee quilt again - it's marvellous! I love your hidden stars quilt and I'm glad you fell in love with it once it was finished! 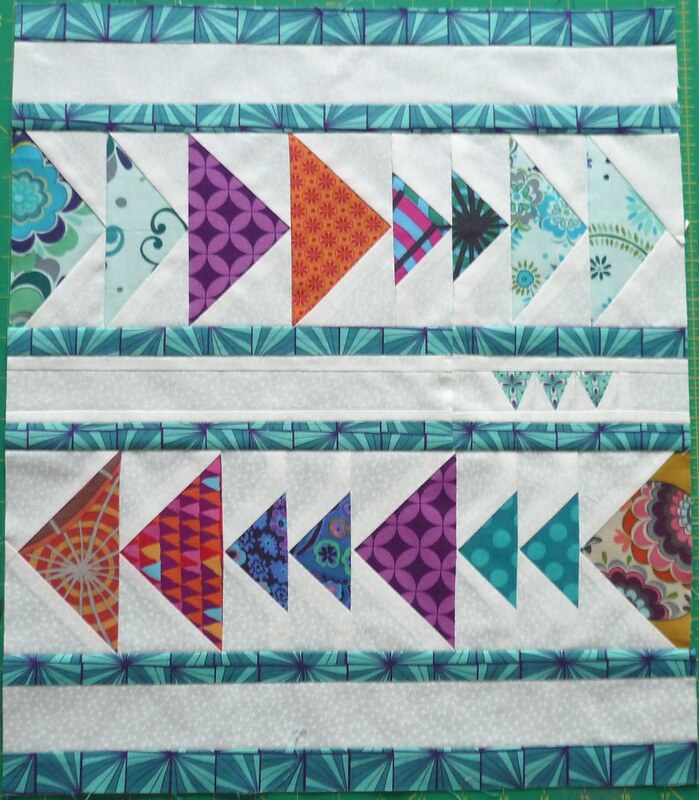 Your flying geese block is wonderful (Can I have it? I'm sure Trudi won't mind!) and you've sparked all sorts of ideas in my head - must get sketching! And yes, I like the fact that you haven't finished Stained II yet - it means that by the time I finish the QAL won't be a dim and distant memory ;o) Have fun with your bestie and don't forget to take loads of photos of the quilts!! Woohoo, go you! You did loads better than me dear! Those are great finishes! I totally love your bee block quilt, especially that crazy middle part. what a lovely load of gorgeousness! I love your Bee quilt so much. It is just amazing. And your bee blocks look awesome, love the different sized geese! What a great list! I can't wait to start into quarter 3. This is so fun, isn't it? You did good. 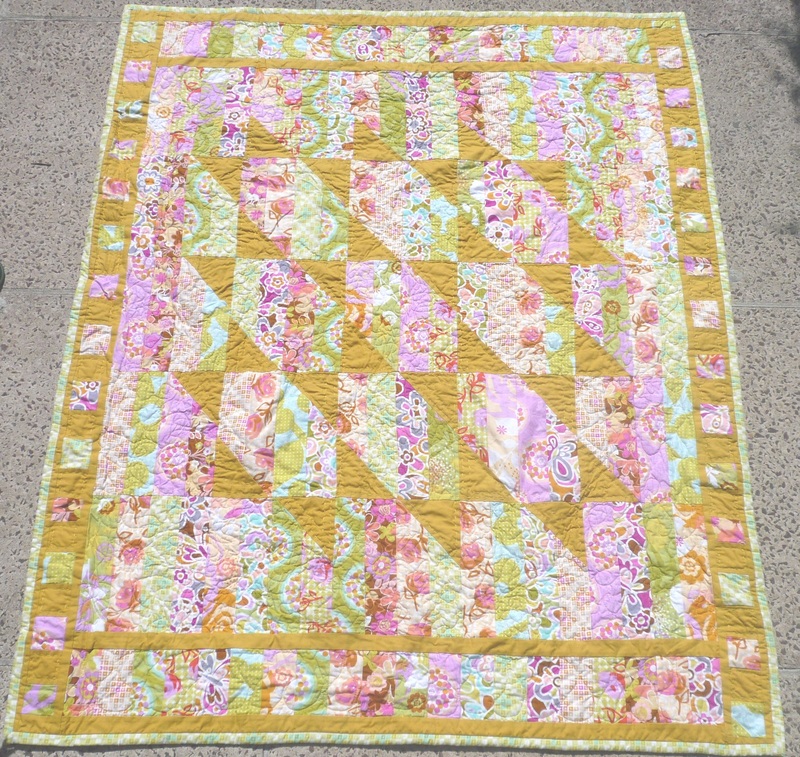 Love the Flying Geese block and your Bee quilt is fab. You got a lot more than me done! And I promise I will finish the Stained QAL next Q. Love the photos of the quilts you forgot to take! How did I miss this post? You've had a brilliant Q2. Every time I see your bee quilt I am even more entranced. I LOVE your Not So Hidden Stars. It's totally not my kind of thing but it is really, really lovely. Well done on all your finishes! !